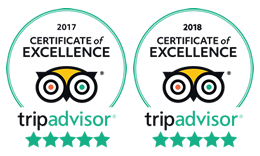 Welcome to THREE KOALAS WINE TOURS – small, family-run business offering classic PRIVATE Yarra Valley wine tours at the cheapest price in Melbourne. We cater for birthday and hence parties, groups of friends or colleagues, families and overseas travellers who would like to visit the beautiful Yarra Valley in their own private small group wine tour without strangers, taste exclusive wine at lesser known, smaller Yarra Valley boutique wineries, and have a fun and memorable day with our best winery tour deal in Melbourne. Treat yourself to a private wine tasting at 4 to 5 of the Yarra Valley’s best wineries. You will visit the right mix of boutique, small and large wineries and sample a variety of delicious local wines and produce. This is the most essential tour of the region. Starting with the ride on “Puffing Billy” the steam train, following with an Aussie wildlife at Healesville Sanctuary and ending with famous Yarra Valley wineries! The MUST DO Melbourne tour for all overseas visitors. Book the Full Day Yarra Valley PRIVATE Wine Tasting Tour on any Weekday, and receive an unbeatable WEEKDAY WINE MADNESS deal for your private group of 8 – 9! Save more than 25% off the standard tour price! Private Yarra Valley Winery Tours — How It Works? Three Koalas Wine Tours operate ONLY personalized private Yarra Valley winery tours. No big, public bus wine tours, sorry! We can pick your private group up at any Melbourne CBD Hotel or other location (we recommend that one), or at any address in the Eastern suburbs broadly on the way to Yarra Valley, or your holiday accommodation at Healesville, Warburton or Kinglake area. No charge, naturally. Sorry! We don’t do public tours and if you are after just 1 or 2 seats on the bus tour, please excuse us as we will not be able to accommodate that request, guys. There are many other Wine Touring companies in Melbourne which are specializing in this type of tour services. Our specialty — small to medium private groups of family, friends, colleagues or travel companions who would like to explore charming Yarra Valley and wonderful wineries there on flexible personalized Yarra Valley Private Wine Tour Itinerary, in the company of people they know and at their own pace. If you are looking for flexible, relaxed and friendly yet informative, inexpensive and truly affordable Yarra Valley winery tour experience, than Three Koalas Wine Tours would love to offer you our services just the way you like it. And Wine Tour at the best price in Melbourne to. Guaranteed!